It's so simple -- we deliver specially constructed shredding bags for you to use at home as needed. Then you can shred documents and paperwork at your own pace. Call us when you fill up the secured shred bags, and we'll stop by to pick them up and deliver new ones to you. We take the bags to our warehouse and handle all the secured destruction details for you! Now you can prevent Identity Theft safely at home! 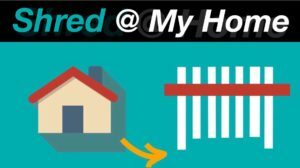 Paper Cut's offers a simple do-it-yourself program that can assist you in safeguarding all of your personal or business data in the convenience of your own home! Try our no hassle, easy-to-use SHReD @ My HoME Service. 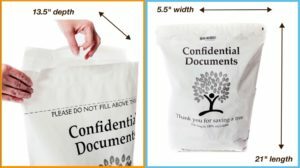 With unique Seal-N-Shred Document Shredding bags, we offer you the ultimate, no-hassle way to shred confidential documents in your home or at your office. 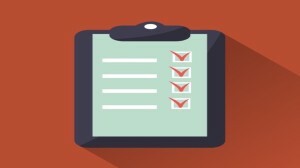 Best of all, you can shred at your own pace and stay in control of your shredding needs. We offer bags in both a standard 6-gallon size, and a larger 12-gallon size. 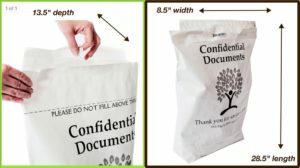 The specially constructed Seal-N-Shred Bag can be easily filled, sealed and shredded—no emptying required. Plus, these bags are made from sustainable materials. 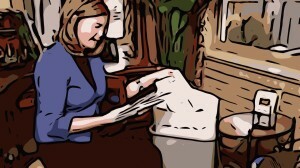 Shredding equipment friendly -- we just shred the entire sealed bag! First, SIGN-UP HERE to register for this convenient service at your home or office. This lets you stay more in control of your shredding needs. Simply alert us when your bags are full and ready to be shredded. We'll then pick up the bags and shred them offsite in our secure warehouse. It's simple and easy. And you can choose from several subscription options, including pay-as-you-go or an annual subscription. 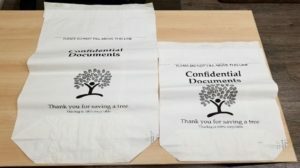 After you have sign up for our SHReD @ My HoME service, we'll deliver to you one or more shreddable, environmentally friendly Document Security Bags to use as needed. You can then start filling up in the safety and convenience of your own home of office. 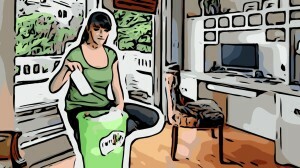 Simply add your documents into the bag for shredding, then seal it up when it's full. We'll automatically send you an "opt-in" monthly email notifying you when a Paper Cut's Shredding Truck will be in your area. Simply respond back to confirm with us that you are ready for a shredding pick-up. On the day of service, we'll send you an email to help you locate the truck on a map online as it travels closer to your home. Our Mobile Shredding trucks come right to your door when it is most convenient for your schedule. This allows you to see the power of Paper Cut's SHReD @ My HoME service in action when we shred your sealed Security Bag. When we're done, we'll provide you with a new shreddable Security Bag to fill up for the next time. Once your shreddable Seal 'N Shred coloection bags are full, let us know and we will arrange a visit to your home. We will bring you new bags to use, and either shred the bags in front of you at your home, or shred them offsite at our warehouse. Paper Cuts then brings the destroyed materials back to our recycling facility to completely recycle the shredded bag and its contents.